UPDATE: The National Gallery of Australia announced Thursday that it is seeking to return its stolen Shiva, purchased from Kapoor in 2008 for $5 million, and will pursue a lawsuit against Kapoor. See below for details. The manager of Subhash Kapoor’s New York antiquities gallery pleaded guilty Wednesday to six criminal charges related to trafficking in stolen art. For nearly two decades, Aaron Freedman, 41, managed Art of the Past on Madison Avenue, a major supplier of ancient art to museums and private collectors around the world. During that time, court records say, Freedman helped Kapoor manage a global network of looters, thieves and smugglers who pried artifacts from temples and ruins, laundered them with forged ownership histories and sold them to some of the world’s most prominent museums and collectors. In a court appearance Wednesday, Freedman pleaded guilty to one count of criminal conspiracy and five counts of possession of stolen property, according to a spokesman for the Manhattan District Attorney’s office. His attorney Paul Bergman did not return calls for comment. According to an online profile, Freedman graduated from Vassar College before studying Art History at Rutgers University. He started work at Art of the Past in 1995. UPDATE: Bergman told The New York Times his client was eager to “take concrete steps to rectify his serious mistakes.” The prosecutor on the case was quoted by the Times saying, “Mr. Freedman, I believe, is sincerely and genuinely remorseful and repentant and he has taken significant steps toward making amends.” It appears likely Freedman will be cooperating with investigators. Since 1974, Kapoor has sold or donated thousands of pieces of ancient art to the Metropolitan Museum of Art in New York City, the Los Angeles County Museum of Art , the Norton Simon Museum, the Asian Art Museum of San Francisco, the Art Institute of Chicago, the Toledo Museum in Ohio and others. Abroad, his clients included the Musée des Arts Asiatiques-Guimet, Paris; the Museum of Asian Art in Berlin; the Royal Ontario Museum in Toronto; the Asian Civilisations Museum in Singapore; and Australia’s National Gallery and Art Gallery of New South Whales. The court records filed Wednesday detail several stolen objects that Freedman and Kapoor attempted to sell to museums and collectors. In a letter to a potential buyer, Freedman said the sculpture had “become available from an old private collection.” Investigators say it was stolen from the private residence of an Indian man who reported the theft in 2004. This 11th Century Chola sculpture of Uma Parameshvari, the Great Goddess, standing in her sensuous thrice-bent pose, was stolen from the Sivan Temple in India’s Ariyalur District in 2005 or 2006, according to the court records. Kapoor sold it to Singapore’s Asian Civilizations Museum in February 2007 for $650,000, records show. His contact there was the museum’s senior curator Dr. Gauri Krishnan. 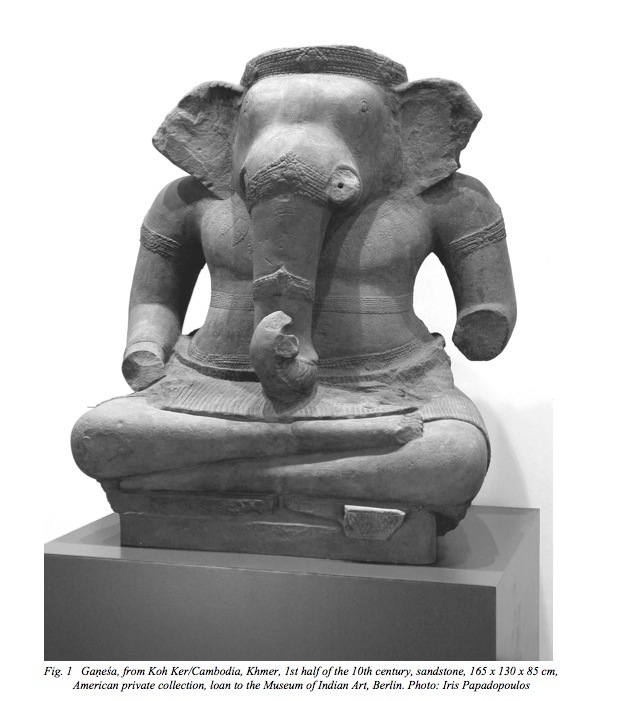 Also cited in support of Freedman’s criminal charges are four missing Chola sculptures worth $14.5 million that authorities allege were hidden by Kapoor’s sister, Sushma Sareen. As we reported in October, Sareen was criminally charged for her role in the case. The final piece mentioned in the court records is the National Gallery of Australia’s sculpture of Shiva, purchased for $5 million in 2008. As we revealed in June, the sculpture was stolen from the Sivan Temple in Tamil Nadu. Who is Douglas A. J. Latchford? That is the question many are asking since the Bangkok-based British collector who describes himself as an “adventurer-scholar” emerged at the center of the legal fight over an allegedly looted 10th Century Khmer warrior now at Sotheby’s. 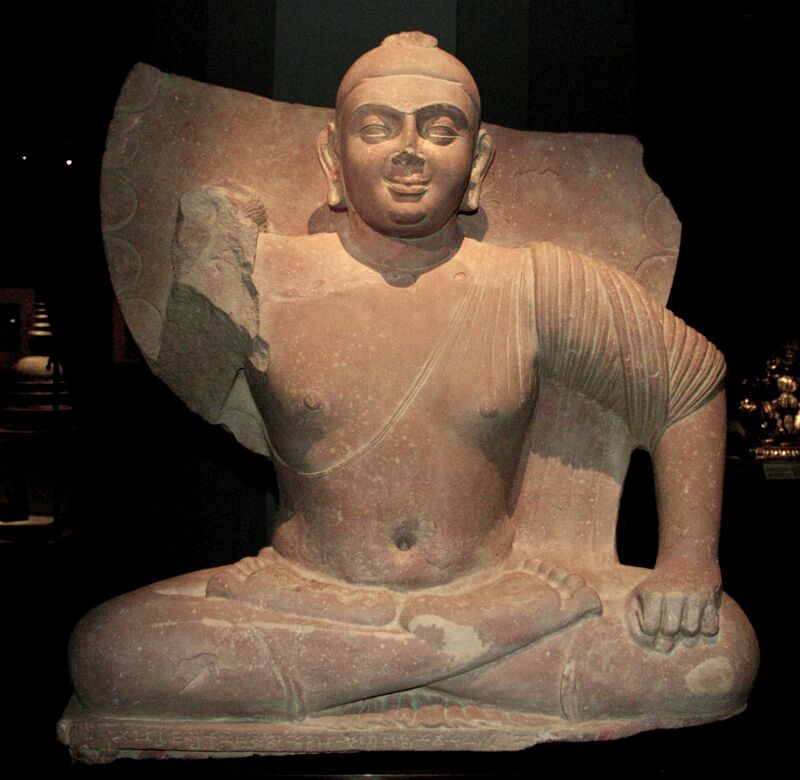 Federal prosecutors have said in recent court filings that Latchford knowingly purchased the Sotheby’s statue and its companion at the Norton Simon Museum in Pasadena from “an organized looting network” that stole the objects from the ruins of the Koh Ker temple complex deep in Cambodia’s northern jungles. Latchford allegedly conspired with the London auction house Spink to obtain false export permits for the statues, which were transported it to London in the early 1970s, the filings claim. As the New York Times reported in June, Latchford is also listed as the donor of record for two prominent Khmer pieces at the Metropolitan Museum of Art that Cambodia wants back. 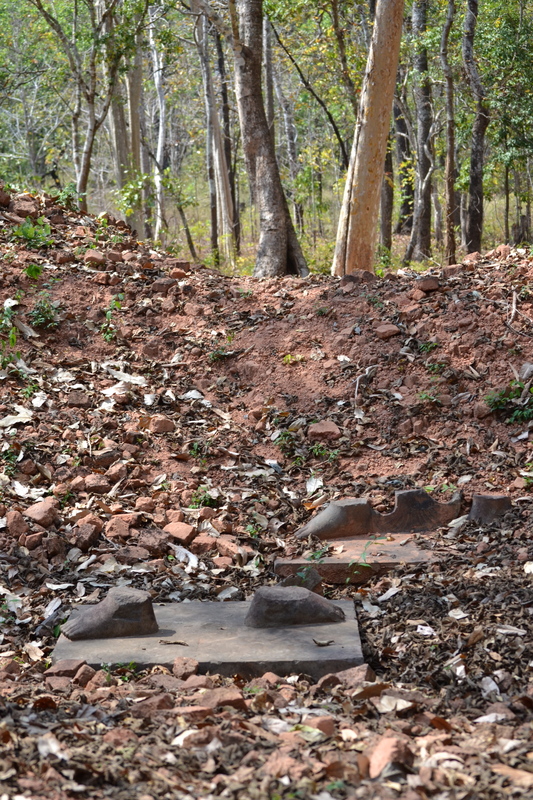 All four of the statues are believed to have been looted from the ancient temple complex of Prasat Chen and smuggled out of Cambodia sometime in the late 1960s or early 1970s. Latchford denies the allegations. In an interview this month, he told the New York Times that prosecutors were “weaving together suppositions.” “This is somebody’s imagination working overtime,” he said in an interview at his Bangkok home with reporter Tom Mashberg. He claims that the London auction house Spink at times used his name for purchases of objects he never owned. Spink claims it has no longer has records from those years. Mr. Latchford spins tales of bumping his Jeep along makeshift roads in the jungles of Thailand and Cambodia, exploring vine-entangled temples and the shattered outposts from a 1,000-year-old fallen empire. The final statement is ironic, as federal prosecutors suggest the statue at Sotheby’s was purposefully broken by looters to make it easier to smuggle, a claim supported by Sotheby’s own analysis of the statue’s surface. Indeed, both statues’ feet remain in place at Koh Ker. 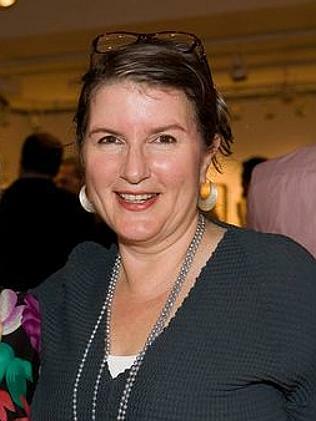 Latchford has close ties to Emma Bunker, the Khmer art expert hired by Sotheby’s to help with the sale of the contested Khmer statue. In emails to Sotheby’s, Bunker stated that the statue was “definitely stolen,” and said her “culture spies” could help Sotheby’s navigate Cambodia’s cultural heritage bureaucracy. 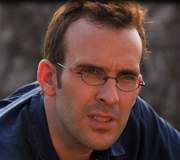 Latchford and Bunker have co-authored several books on Khmer art, including Adoration and Glory, which boasts that “the authors were able to gain access to private as well as public collections worldwide to give unparalleled access to more than 150 objects,” many of which are published there for the first time. 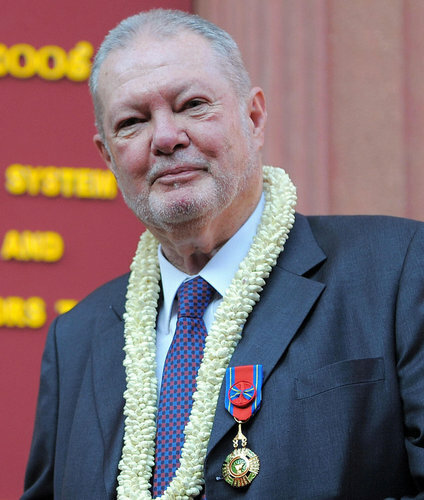 Complicating matters, Latchford, now 81, has become a prominent donor to Cambodian museums of both antiquities and money. Emails from the Sotheby’s case make clear his generosity has earned him close ties to cultural officials in the Cambodian government, including to Hab Touch, who is today pressing Cambodia’s repatriation claims but in the past has praised Latchford’s scholarship. Given this history, we’ve started to scratch around to see where else objects tied to Latchford have ended up. Here’s the first of those reports. Gift of Douglas A.J. Latchford. Accession #2000.67 No additional provenance available. The museum said the piece was originally purchased by “Ian Donaldson” in Vietnam around 1964-66; then shipped from Thailand to the UK on February 12, 1994 and imported from the UK on March 10, 1994. It is worth noting that Adoration and Glory contains a very similar statue listed as being in a private collection. 3. Sun God (Surya) from Cambodia or Vietnam. 600’s to 700’s, Pre-Angkor period, sandstone. Purchased from Latchford in 2004. Accession #2004.371. Published in “Adoration and Glory.” No other provenance information was provided. 4. Sleep of Vishnu and the Birth of Brahma, Cambodia, 700’s, Pre-Angkor period. Sandstone. Gift of Douglas A. J. Latchford. Accession #2005.104. The piece was published in “Adoration and Glory” and listed as being held in an “American Collection” on page 84. No other provenance information was provided. 5. Bronze Bell, Cambodia, 1st Century BCE, Iron Age. Gift of Douglas A.J. Latchford. Accession #2005.105. No provenance or publication history provided. 6. Wood Cabinet with Chinese Motifs, 1700’s Thailand. Gift of Douglas A. J. Latchford & Emma C. Bunker. Accession #2006.81. No provenance or publication history provided. 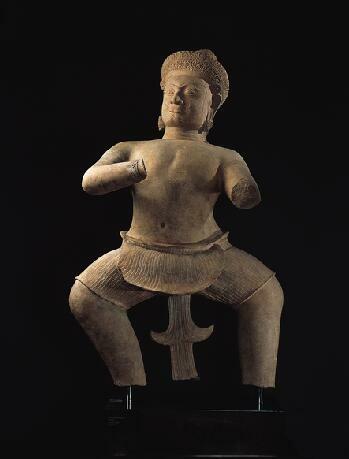 Among the museum’s Khmer objects not included in the list are other objects from Koh Ker, such as this statue of Rama, whose ownership history is not listed. 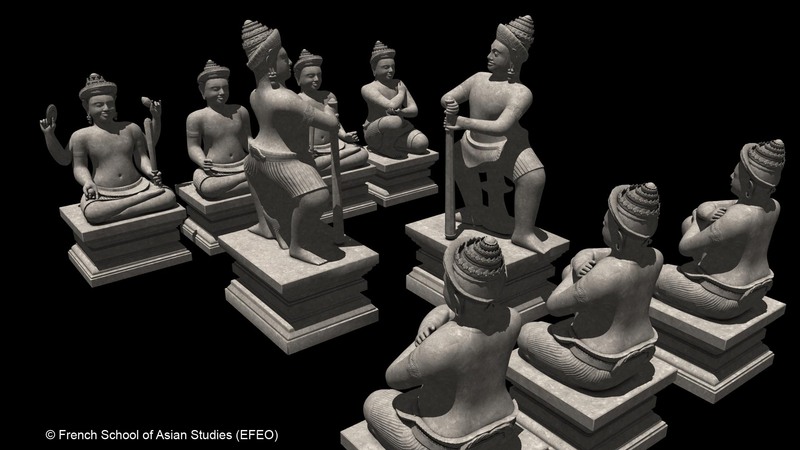 In short, in recent years the Denver Art Museum has acquired several Cambodian antiquities with little or no documented ownership history — much less evidence of legal exportation — from a man now at the center of a federal looting probe. For several of those objects, the only documented history was a book written by Latchford himself. The museum’s position is further complicated by the fact that Emma Bunker is listed as research consultant for the museum, suggesting a possible conflict of interest. All of these are serious red flags. The statement suggests a deep misunderstanding of modern acquisition ethics. 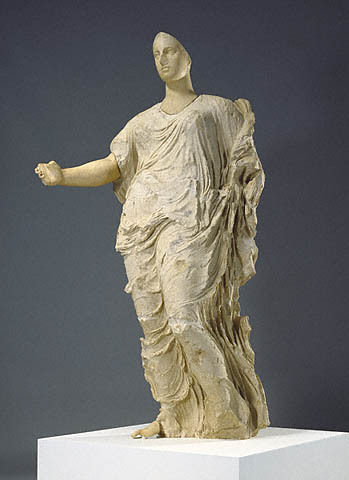 The moral obligation on museums to obtain clear provenance — concrete evidence that an antiquity had not been recently looted — did not begin in 2008, after the wave of museum scandals we wrote about in Chasing Aphrodite, but in 1970 with the passage of the UNESCO convention. Further, the museum’s postings on the AAMD Object Registry suggest that South East Asian antiquities are not the only problematic collecting area for the Denver museum: it has acquired nine pre-Colombian objects since 2008 that do not have provenance pre-dating 1970. We’ll follow-up on these matters with Denver, which has still not provided a list of Latchford objects that were lent to the museum. Imagine you’re a thief about to pull a heist at the local temple. So begins the children’s audio guide for the Norton Simon Museum’s statue of a 10th century sandstone temple warrior from Koh Ker, the one-time capital of the Angkor Kingdom in Cambodia. The evil spirits apparently won, because the guardian is now in Pasadena, and the Cambodian temple it once guarded has been thoroughly looted. But those missing feet were found in 2007, along with a second pair that experts say belong to a matching statue now at Sotheby’s. Last week, the federal government filed a lawsuit seeking to seize the statue from the auction house on behalf of the Cambodian government. There is little question that both statues were stolen — their abandoned feet bear witness to the crime. The only question is when: sometime over the past 1,000 years, as Sotheby’s suggests. Or — as Cambodia, the US government and archaeologists suggest — more recently, in the turbulent 1960s or 1970’s when civil unrest in Cambodia fueled unprecedented looting. If the later, both statues could be considered stolen property under U.S. law. 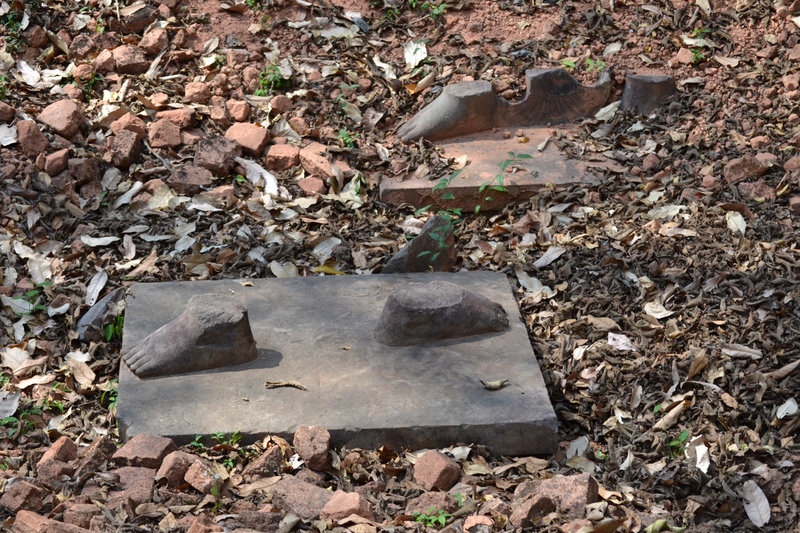 The feet of two ancient sandstone statues were left behind by looters at a temple in Koh Ker, Cambodia. One statue is now at Sotheby's, the other at the Norton Simon Museum in Pasadena. The same would appear to apply to the Khmer temple guardian that he bought three years later from a New York dealer William H. Wolff. An almost identical figure, now resting in the collections of the [deleted] Museum…allows one to conjure up a wonderful vision of the two statues together perhaps lining an entrance way leading to the dark temple interior and the sanctuaries of the gods. 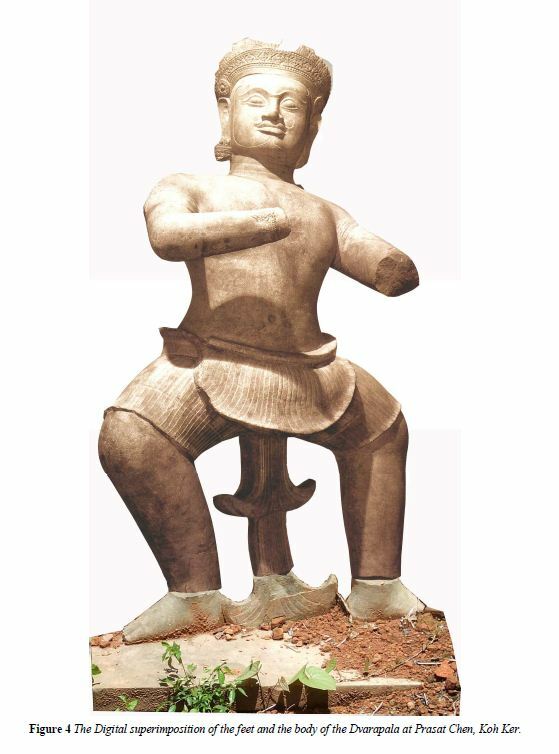 Reunited: The abandoned feet at Koh Ker digitally superimposed on the Temple Warrior at the Norton Simon, from a report to UNESCO by researcher Simon Warrack. A wonderful vision, indeed — and a surprisingly accurate description of their original context at Koh Ker before they were stolen. …There are no plans at all for Cambodia or the National Museum of Cambodia in Phnom Penh to attempt to ask for anything at the [deleted] Museum or the [deleted] etc. They would also have to ask for Khmer material in the [deleted], and they want to continue to get French support. It appears that Cambodia was reluctant to risk access to foreign aide over a fight for its stolen cultural heritage. But this calculus may be changing. This raises an interesting question: Should the Norton Simon and other museums with such objects wait to see if they are sued in federal court? Or should they move to return stolen objects on their own initiative? If it did some good, I would return it. If there were reason and probability that smuggling could be stopped, I would do it. It would do a lot to establish a constructive relationship between nations….Looting is a terribly destructive process. In cutting works out of temples, thieves mutilate them. Also, US Customs should not allow works into this country unless they have a total clearance from the countries of origin. If we could get such a clear cut certification to stop smuggling, I would send it back. If not, I’ll probably keep the piece.